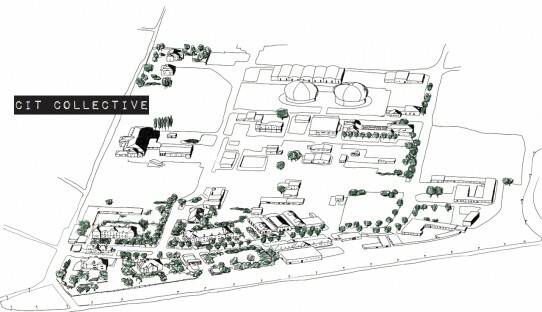 This presentation will illustrate CIT Collective’s lobbying processes and approach to turning Vienna’s ”Gaswork Leopoldau” into an open and democratically run area for cultural development and production. Established in 2011 CIT COLLECTIVE is a cross disciplinary initiative, who aim to create a new approach to urban planning. Focusing on the abandoned industrial site the ‘Gaswork Leopoldau’ , which sits on the outskirts of Vienna the collective are engaged in developing a new form of socio-cultural dynamics, whereby the site is viewed as an urban commons. This process is activated through running various cross-disciplinary workshops, events, lobby campaigns and actions with the aim to establish an experimental urban planning culture, which adheres to the principles of transparency, solidarity and participation. Theresa Schütz’s work focuses on critical spatial practices within public spaces. Trained as an architect, she was an assistant at the Center of Local Planning, Technical University, Vienna (201014) and now co-organises with the Center for Urban Culture and Public Space the WWTF international summer school ‘Designing places of emancipation?’ (also at the TU). She is co-founder of the urban arts collective ‘Gehsteig-Guerrilleros’ and member of the cross disciplinary initiative CIT Collective’.